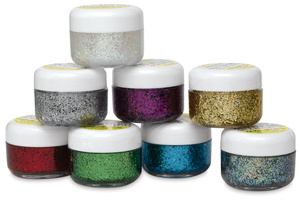 Snazaroo Glitter Gel is just the thing for adding a whole new level of fun to face painting! This skin-friendly, non-toxic, paraben-free glitter gel can be applied directly onto the skin or layered on face paint. It easily washes off with soap and water. If the gel becomes dry over time, simply add a small amount of water to the gel and mix.